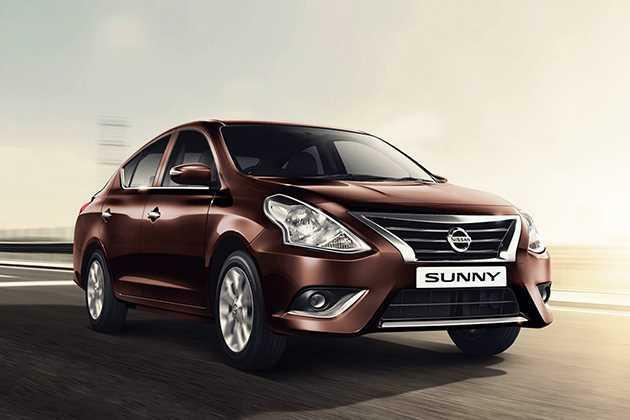 Nissan Motors has finally launched the much anticipated 2014 Sunny in the car bazaar. This time it is introduced in five diesel and three petrol variants. Nissan Sunny Diesel XV is one of the top end variants that is powered by a 1.5-litre, K9K diesel engine that is capable of developing a maximum power of 84.8bhp at 3750rpm that results in a peak torque output of 200Nm. The company has not made any changes to its specifications but, it has updated the cosmetics of its interiors and exteriors. This new variant comes with an improved beige color scheme that is complimented by a redesigned dashboard and central console. It has an eccentric new look featuring restructured cosmetics like pronounced radiator grille, Y-spoke alloy wheels and headlight cluster. This trim is equipped with a 2-DIN music system that has Bluetooth connectivity for audio streaming and calls. In addition to these, it also has rear parking sensors featuring a camera, which makes parking simpler. This sedan now comes in six captivating paint options, which includes Onyx Black, Saphire Blue, Storme White, Blade Silver and Bronze Grey. This latest version has a refreshing new look thanks to its brand new exterior features. To start with the rear profile, it has a large taillight cluster that has brake light and turn indicator. It surrounds a large tailgate that hosts a license plate console and is decorated with a lot of chrome inserts. The only update given to the rear is its bumper, which is now fitted with a black colored protective cladding. Coming to the sides, it comes with reshaped wing mirrors, which are further incorporated with turn indicators . The remaining aspects have been retained, while the wheel arches are now fitted with a set of stylish 15-inch, Y-spoke alloy wheels. These rims have been covered with a set of 185/65 R15 sized tubeless radial tyres. Its window sills and B pillars are affixed with black sash tape, while the door handles are treated with chrome. The best part about the front is its magnificent front facade that is fitted with a modified chrome radiator grille, which has horizontal slats as well. Surrounding this is the large headlight cluster, which gets a major tweak and is equipped with high intensity headlamps and turn indicators. Its front bumper is looking more refined and has an air dam along with a pair of fog light consoles, which are affixed with chrome strips. The overall new look of the front is complimented by a stylish company's logo engraved on to the grille. This Nissan Sunny Diesel XV is done up with refined beige color scheme that is further accentuated by chrome and brushed metallic inserts. It also has a newly designed dashboard with a piano black central console, that is engraved with brushed metallic inserts. The cockpit section comes equipped with features like a storage compartment, music system, auto AC unit and accessory power sockets . The steering wheel gets a brand new design and it is covered with premium leather upholstery. The seats have been retained from the outgoing trim, which are integrated with head restraints and have been covered with fabric upholstery. There are center armrests provided for front and rear seats, wherein the rear armrest has two cup holders. The driver seat has height adjustable facility, while the rear seat has split folding facility in 60:40 ratio, which helps in increasing the boot capacity. Other utility based features includes sun visors, storage pockets and magazine holders. This variant is powered by the same 1.5-litre, K9K diesel engine that is incorporated with common rail fuel injection system. It is based on single overhead camshaft valve configuration featuring 4-cylinders and 8-valves that displaces 1461cc . It has the ability to produce a maximum power of 84.8bhp at 3750rpm that results in a commanding torque output of 200Nm at just 2000rpm. The company has paired this engine with a five speed manual transmission gearbox that allows the front wheels to draw its torque output, while enabling it to produce a peak mileage of about 21.64 Kmpl. Coming to the suspension mechanism, it comes with a McPherson Strut fitted to its front axle and torsion beam to the rear, which can deal with any road conditions. The front wheels are fitted with discs and the rear ones have been paired with drum brakes . This proficient braking mechanism is further enhanced by anti lock braking system in combination with an electronic brake force distribution. In addition to this, it has an electric power assisted steering system with a minimum turning radius of 5.3 meters. This Nissan Sunny Diesel XV is one of the top end variants and is equipped with innovative comfort features. This latest trim comes with rear parking sensors including a rear view camera that provides visual images on central infotainment screen. It also has a new 2-DIN music system that supports USB port, AUX-In sockets and Bluetooth connectivity as well. Other features include an automatic AC unit, power windows with driver's side one touch operation , power steering with tilt adjustment, front sun visors with passenger's side vanity mirror, a multi-functional steering wheel, an integrated key with push button ignition, driver's seat height adjustment and various other such aspects. It also comes with remote key less entry, room lamp, remote boot opener, rear coolant fan and a drive computer featuring tachometer, digital clock and other information based aspects. This variant comes with some crucial aspects, which ensures safety for the car and its passengers as well. The list includes dual front airbags, anti lock braking system, electronic brake force distribution , door ajar warning lamp, speed sensing auto door lock and front fog lamps. It also has engine immobilizer along with anti-theft device featuring an alarm, which provides enhanced protection to the vehicle. 1. Improved exteriors and interiors are a big plus. 2. Inclusion of rear camera and Bluetooth adds to the advantage. 1. A few more safety features can be added.